COMMUNITY EDUCATION MAKES A REAL DIFFERENCE FOR ANIMALS! 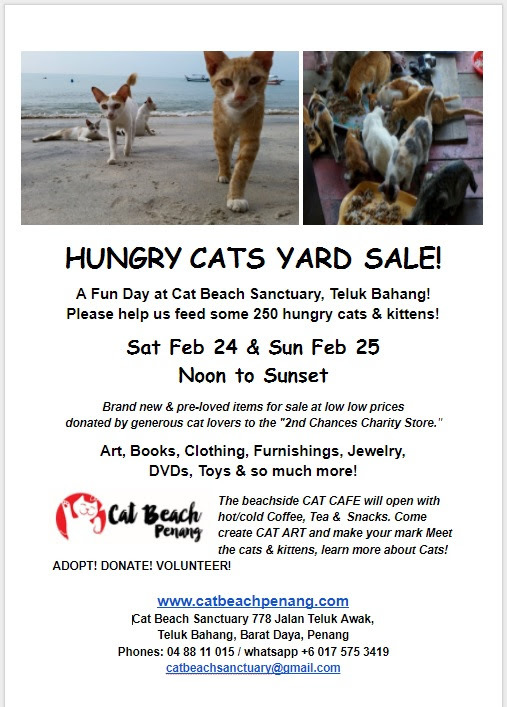 With little fanfare or promotion, Cat Beach Sanctuary has truly become an educational centre. Student volunteers have asked if they can come perform community service while learning about the many ways we can all help cats. The cats are delighted – they love volunteers! 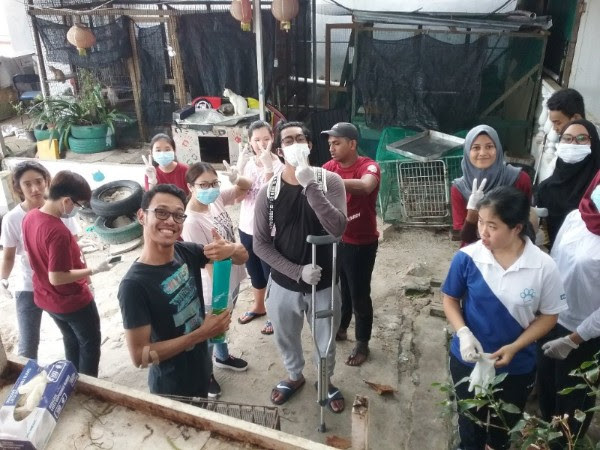 And we believe by engaging with Penang’s youth, we can see important changes in the treatment of companion animals in the coming years. 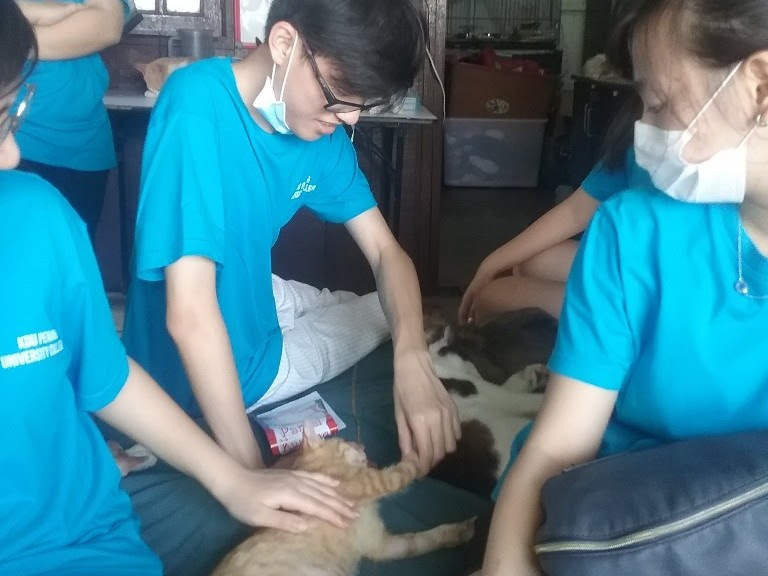 Community education can make the difference – so proud and grateful to the students for taking action to help cats! 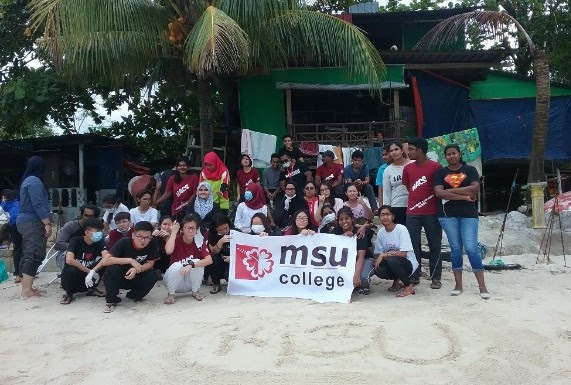 This February, Cat Beach hosts students from KDU College, the AISEC international student exchange project, and two different groups of 70 members each from Universiti Sains Malaysia (USM). Past visiting groups include MSU and Penang Medical College. Students are working hard to prepare the sanctuary for the upcoming HUNGRY CATS YARD SALE on Feb 24 & 25 (see flyer below). In 2017, 70 USM students visit to Cat Beach included a tour, cleaning and cat care projects and featured painting of cats by some talented artists on the walls at Cat Beach. Then USM Convex convocation organizers invited Cat Beach to the campus to give a 2-hour talk about cats! Cats Sinatra and Roary received a wonderful gift of funds raised by the students. 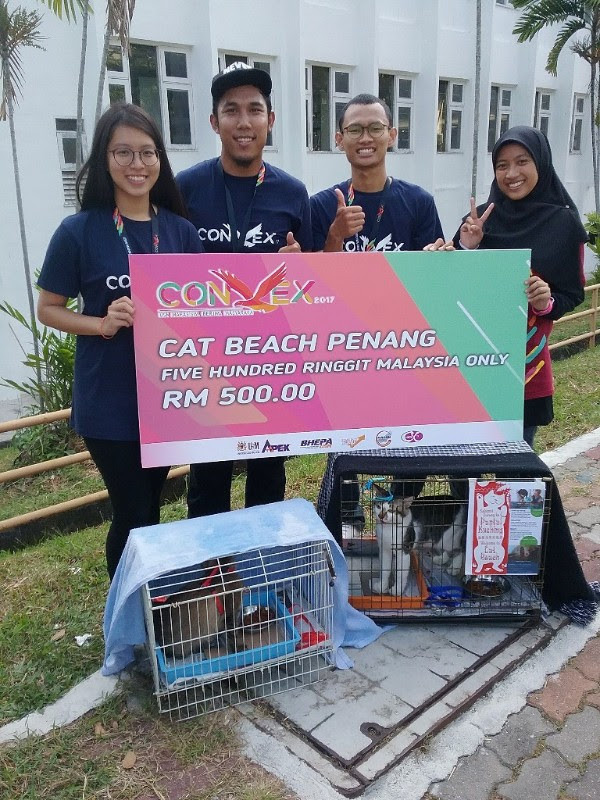 To improve the welfare and treatment of Penang’s cats needs the engagement and education of the community. Penang’s fascinating mix of cultures includes a wide range of traditions and attitudes towards animals. There are many compassionate people but there is also ignorance, even cruelty, abuse and fear. To those of us who live with cats, it is surprising to think that some people are afraid of cats or may even hate them. Cat Beach offers a chance for positive experiences with some very affectionate cats. Thanks to students and their teachers, powerful messages about compassion, kindness, and excellence are being shared. Community service is also one of the best ways for students to build their credentials, gain valuable work experience, and explore possible careers. It is our hope that they take away a new understanding that cats can really benefit humans in many ways. TOUR GUIDES, CAT CARERS, CAT CAFE, CHARITY STORE, & YARD SALE VOLUNTEERS NEEDED! Copyright © 2018 Cat Beach Sanctuary, All rights reserved. JAN 2018 NEWS Oh my! It’s Kitten Season at Cat Beach! FEB 2018 – 250 Hungry Cats will thank you! Could you donate monthly?